2018 commemorates the 11th anniversary of Outside Lands, a Bay Area celebration of Music, Food , Wine, Beer, Art and Comedy, taking place August 10-12, 2018 in beautiful Golden Gate Park. 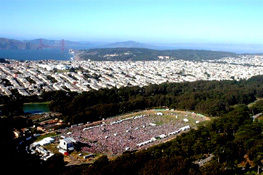 The Outside Lands Music & Arts Festival has become a cherished event that the city of San Francisco has embraced as fans from across the country flock to spend an incomparable weekend in one of America's greatest parks. 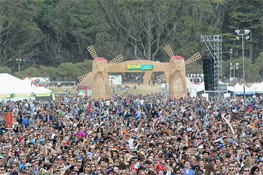 The world’s only gourmet music festival, the Outside Lands Festival is a trailblazer in gastronomical entertainment. Outside Lands never disappoints, amplifying its imaginative celebration of Northern California culinary culture year after year. The festival has added Outside Clams, a seafood destination, to its distinct food and drink experiences: GastroMagic, A Taste of the Bay Area, Wine Lands, Beer Lands, Choco Lands, and Cheese Lands.